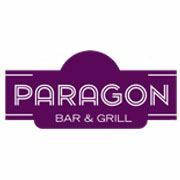 Paragon is known for its lively bar and critically acclaimed “old world cuisine with new world fusion”. Make yourself comfortable at the 30 foot long bar or relax in a plush booth and savor seasonal specialties. (New specials added daily) The inviting decor mixes contemporary artistry with a nostalgic ambiance. Sit by the fireside and enjoy very live music 5 nights a week. Never a cover and always a good time.